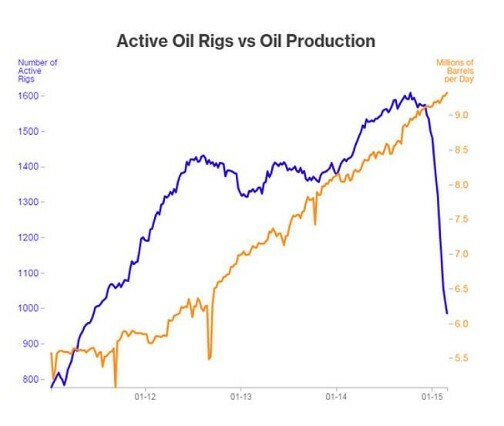 The accompanying chart, courtesy of the oilfield services company Baker Hughes, may be the most dramatic illustration of economic reality you will see this month. It shows how the U.S. has increased the millions of barrels of oil per day that we’re pumping out of U.S. soil in the past four years. Looking at the orange line rising ever-more-steeply, you wonder whether oil prices will ever go back up to previous levels.